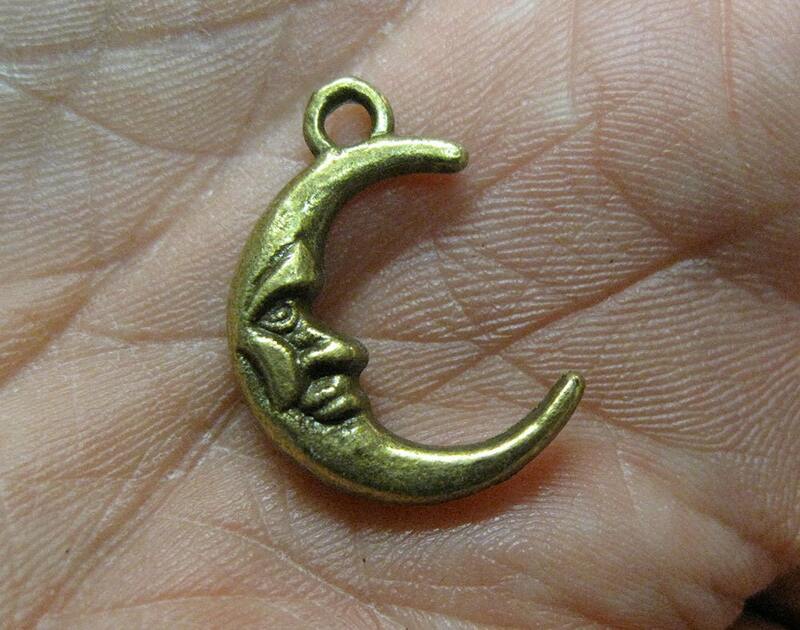 10 antique bronze celestial man in the moon charms. 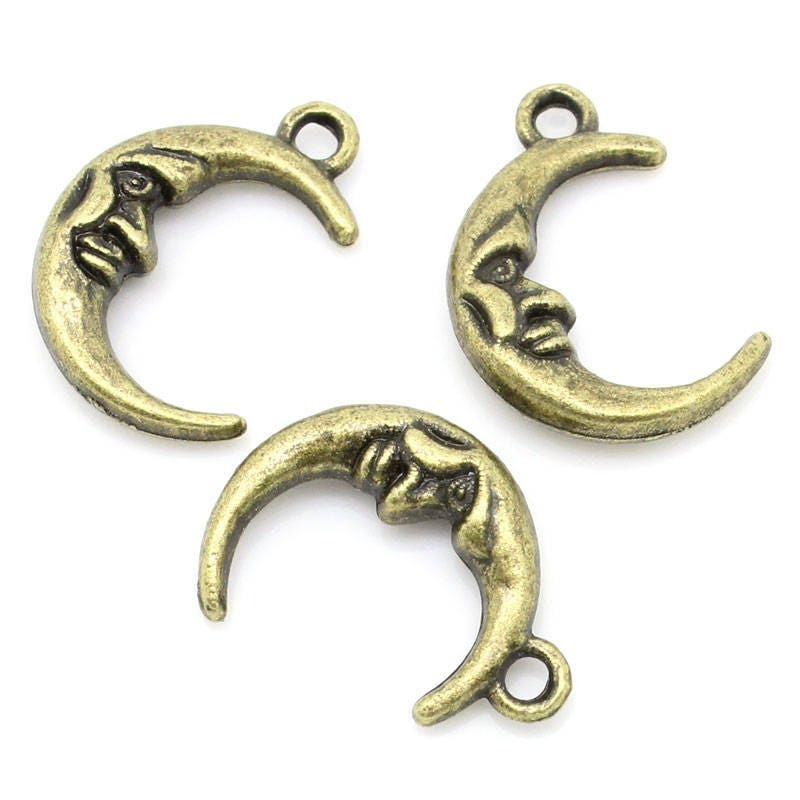 These moon charms are double sided (design is the same on each side) and they measure 22mm x 16mm. 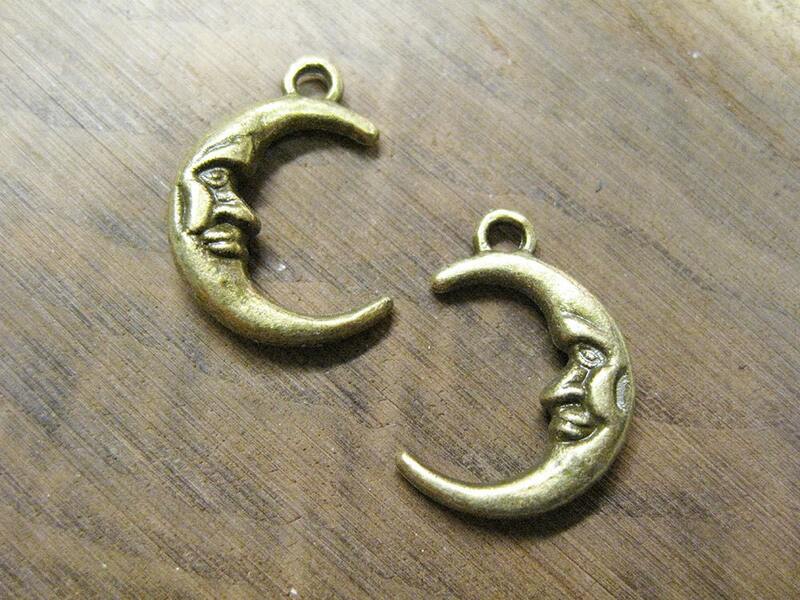 Perfect for mystical or celestial themed jewelry. Vintage appeal. 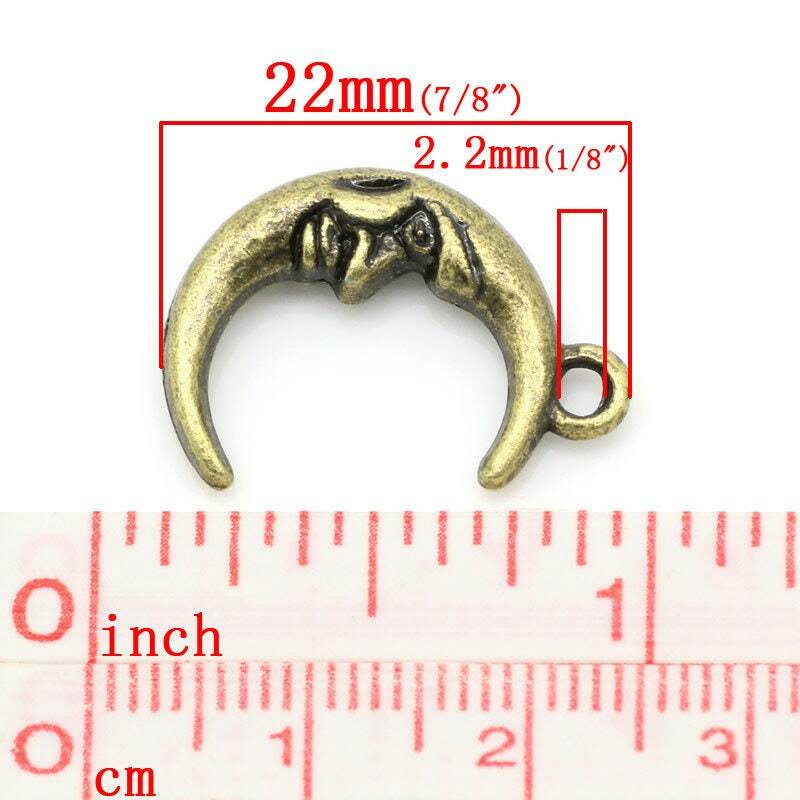 Zinc metal alloy, lead, nickel free. Cadmium safe. 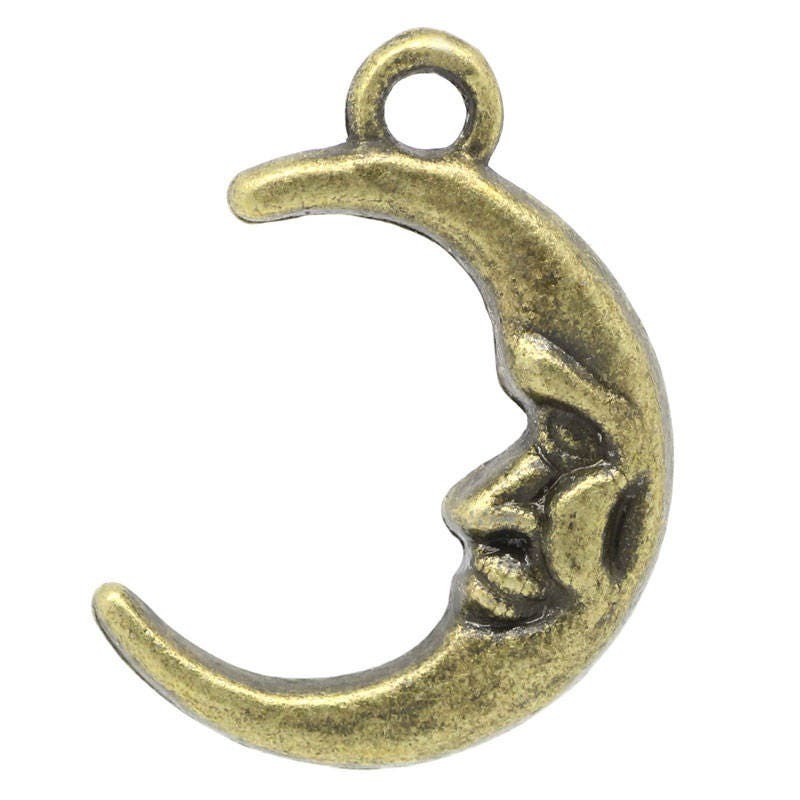 Very cute charms and speedy delivery!